Barbara Sue “Susie” Davidson Burkman, 64, of Biloxi, MS passed away on Tuesday, November 6, 2018. She was born October 8, 1954 in Indianola, MS to William “Bill” and Charlotte Davidson. She grew up in Greenville, MS where she was a member of Trinity Methodist Church. She had a generous heart, was very charitable, and enjoyed volunteering at multiple churches, animal shelters, soup kitchens, and hospitals throughout her life. Lover of the beach, she eventually moved to the Mississippi Gulf Coast to be closer to her daughters and her granddaughter, Laila, who was the light of her life. She loved music, art, flowers, and animals, and never met a stranger. 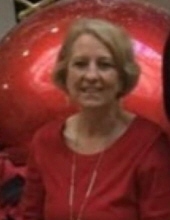 Susie was preceded in death by her father, Bill Davidson, Sr. of Greenville, MS.
She is survived by her daughters, Jessica (John) Grieve of Ocean Springs, MS and Noelle Burkman of Biloxi, MS; granddaughter, Laila Grieve; mother, Charlotte Davidson of Greenville, MS; and brother, Bill Davidson, Jr. of Greenville, MS; along with numerous other relatives and friends. Memorial service will be held at Trinity Methodist Church Chapel in Greenville, MS on Saturday, December 8, 2018 at 2:00 p.m.
To send flowers or a remembrance gift to the family of Susie Davidson Burkman, please visit our Tribute Store. "Email Address" would like to share the life celebration of Susie Davidson Burkman. Click on the "link" to go to share a favorite memory or leave a condolence message for the family.